Sharjah – 29 September 2018: The Sharjah Chamber of Commerce and Industry (SCCI) hosted a training and awareness workshop on the topic of “Combating Commercial Fraud in Electrical Products,” which was organized by the Ministry of Economy. The workshop aimed to raise the awareness of the community and the private sector on the dangers linked to counterfeit electrical products and appliances, and the ways to avoid them. The workshop is part of Sharjah Chamber's commitment to enhance its cooperation with its strategic partners to achieve its objectives in serving the national economy and its keenness to aware and encourage the business community and private sector companies in Sharjah to combat commercial fraud in electrical products and reduce their risks. In line with the directives of HE Sultan bin Saeed Al Mansouri, UAE Minister of Economy to raise awareness of consumers and to achieve the strategic objective of the Ministry to enable healthy business practices and consumer protection. 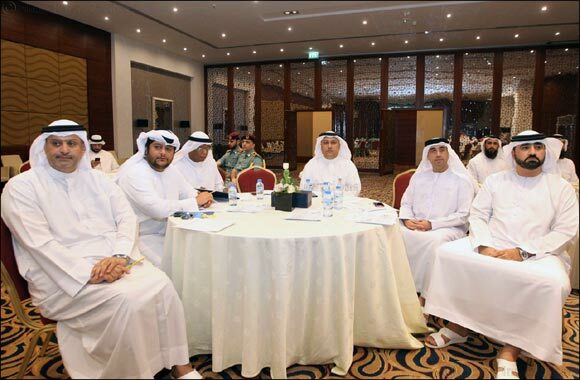 The workshop was attended by HE Mohamed Ahmed Amin, Acting Director-General of the SCCI; Colonel Sami Khamis Al Naqbi, Director-General of Civil Defence in Sharjah; Juma Mubarak Fairouz, Director of the Department of Commerce Control at the Ministry of Economy; and Tariq Al Suwaidi, Director of the Ministry's office in Sharjah, Ibrahim Al Jarwan, Director of Economic Relations at the SCCI, Yaqoub Yousef Al Qusair, Industrial Affairs Consultant at the SCCI, in addition to a number of heads of economic departments in the country and representatives from the private sector. The workshop also included the participation of international expert Mohammed Al Makawi, Head of the Department of Intellectual Property and Trademark Protection for the Middle East at AP consulting firm in Cyprus. HE Mohamed Ahmed Amin, Acting Director-General of the SCCI, stated that the chamber is keen to support efforts to combat commercial fraud in electronic products. He pointed out that organizing this workshop, in cooperation with the Ministry of Economy, is part of the strategic partnership between the two sides that aims to combat commercial fraud in the country, and to present and promote the latest mechanisms that limit these practices. Juma Mubarak Fairouz, Director of the Department of Commerce Control at the Ministry of Economy, stated that organizing this workshop falls under the framework of the integrated system that exists between the ministry and the relevant regulatory bodies, which aims to combine efforts to reduce commercial fraud in the country, adhering to the Federal Law No (19) for the year 2016. He clarified that the Ministry of Economy has put forth a plan to raise the awareness of consumers by organizing a variety of workshops, in cooperation with its strategic partners. He added that the ministry’s initiative to organize this workshop, in cooperation with the SCCI and in coordination with a number of partners of the Commercial Control Department, aims to promote awareness to the members of society, and to protect consumers from the dangers of fraudulent electronic products.